This article applies to TEKLYNX CENTRAL, and explains the problem of print users needing authentication to access the TEKLYNX CENTRAL Print User page. TEKLYNX CENTRAL requires print users to authenticate into the web server before opening the authentication screen in TEKLYNX CENTRAL. User cannot access the Print User Browser interface. If a user trying to access the Print User Browser interface does not have permissions in the TEKLYNX CENTRAL IIS server, their browser will require authentication to access TEKLYNX CENTRAL Print User page. 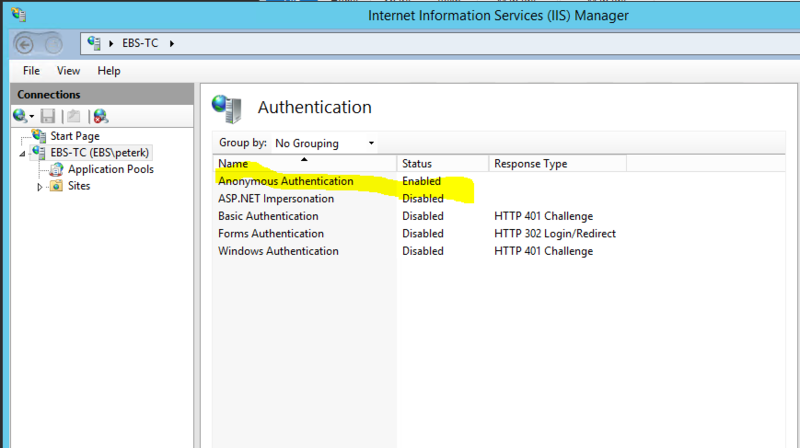 The IIS server permission should be set to allow anonymous authentication.